Next, I met Rudy. 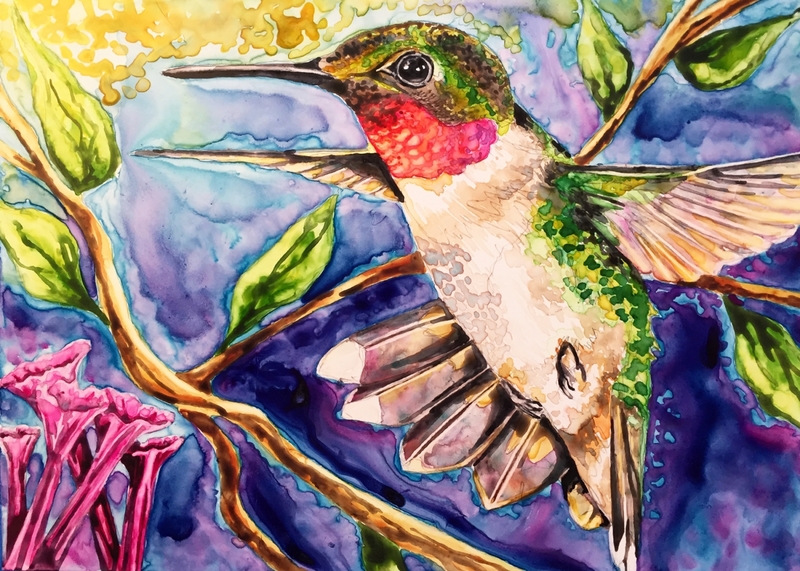 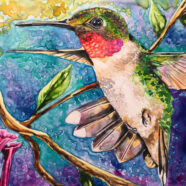 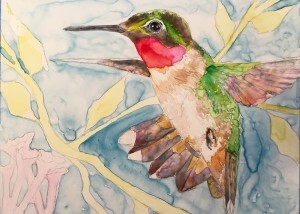 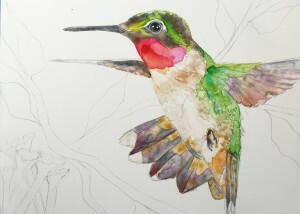 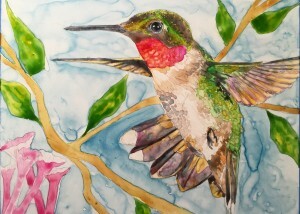 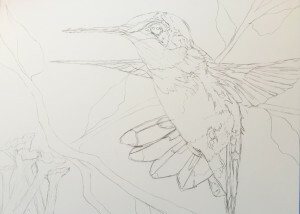 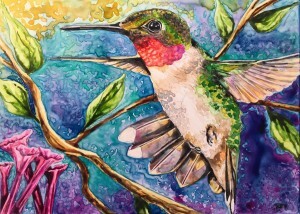 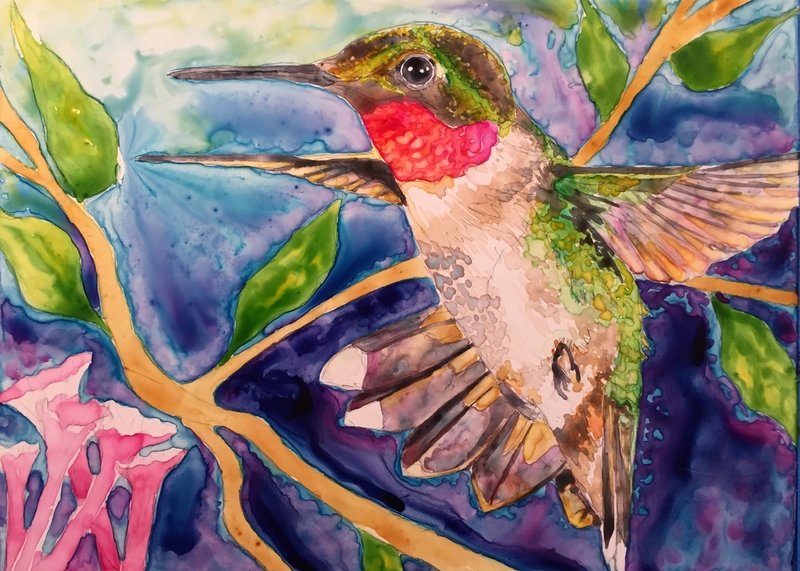 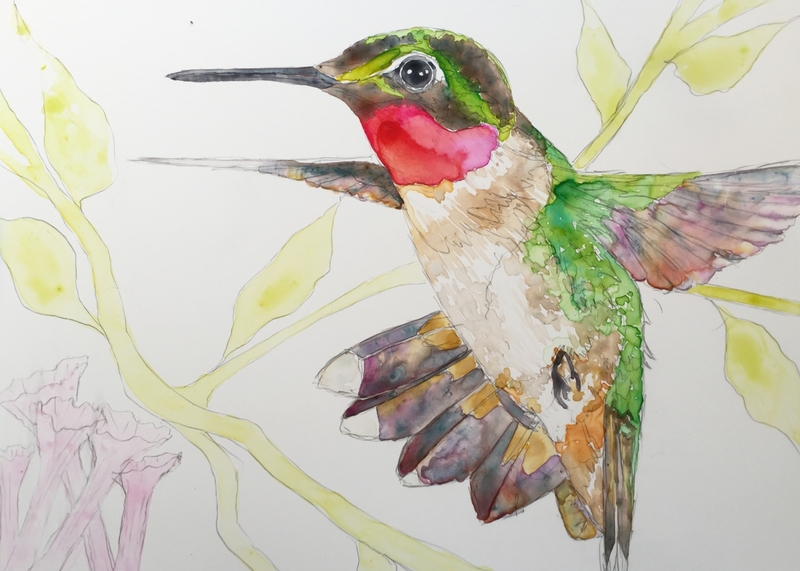 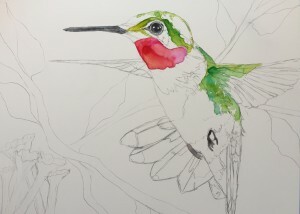 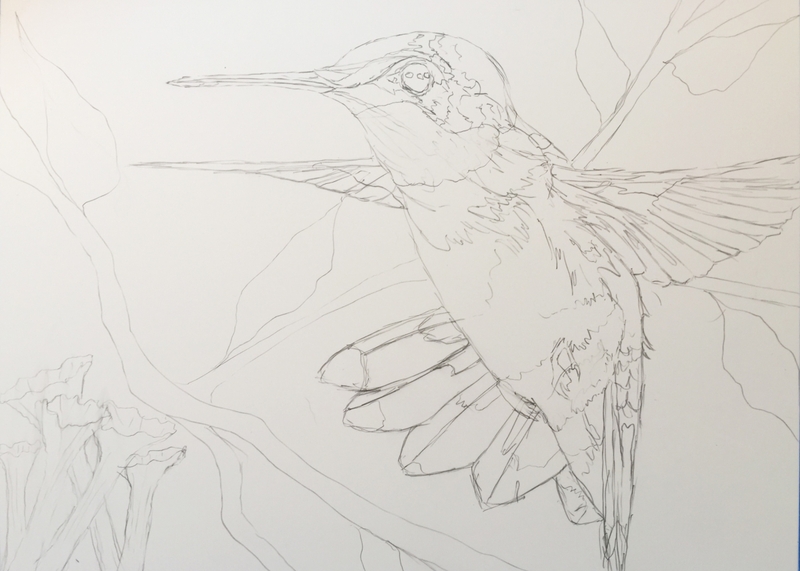 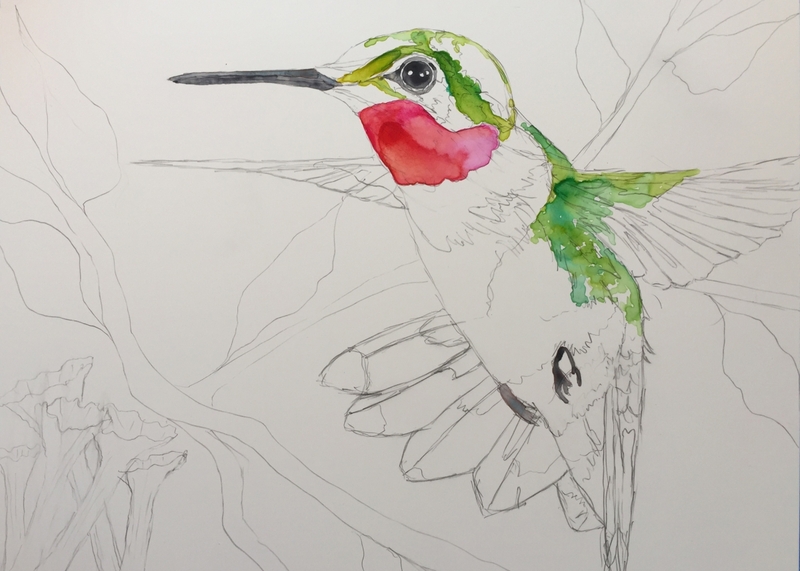 As things progressed in the tree outside my window – more hummingbirds decided to appear. 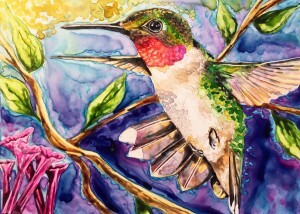 Rudy is the second work in my Wings of Inspiration Series.